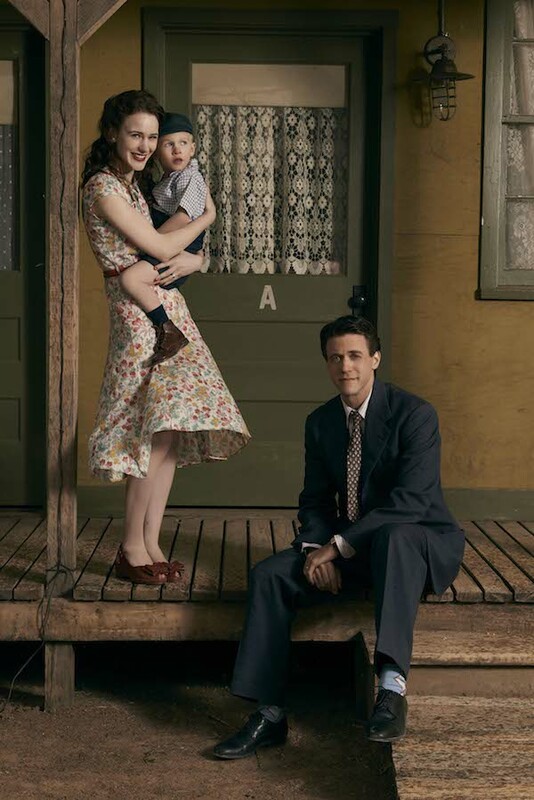 WGN America has revealed the first full trailer for their upcoming new scripted original drama series Manhattan. As you'll see in the trailer above, the town of Los Alamos, New Mexico -- the fastest growing city, as of 1943, during the setting of this series -- is no ordinary town. Sometimes things go boom. Manhattan stars John Benjamin Hickey, Olivia Williams and Daniel Stern and centers on a small community called "The Hill," which is described as a middle-class bubble on a dusty foothill in the New Mexico desert. Hickey plays Frank Winter, a scientist whose team of other flawed by brilliant brainiacs are invited to work on a very mysterious project, which includes taking up residence in what turns out to be a town that's populated by geniuses. Did we mention this town technically doesn't exist? Well, not in any kind of official capacity. It's a town where "men and women are torn between duty and their moral values, husbands and wives conceal the truth from each other and their families, the military keeps secrets from the scientists they chaperone, and the scientists keep secrets from each other." There's also that mission to build a nuclear bomb going on. Drama and science! 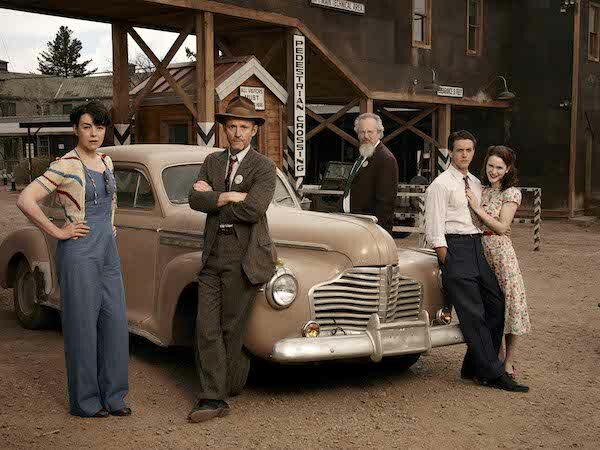 Pictured above from left to right are Olivia Williams as Liza Winter, John Benjamin Hickey as Frank Winter, Daniel Stern as Glen Babbit, Ashley Zukerman as Charlie Isaacs and Rachel Brosnahan as Abby Isaacs. Pictured above from left to right are Harry Lloyd as Paul Crosley, Eddie Shin as Sid Liao, Christopher Denham as Jim Meeks, Katja Herbers as Helen Prins, Daniel Stern as Glen Babbit and Michael Chernus as Louis ‘Fritz’ Fedowitz. 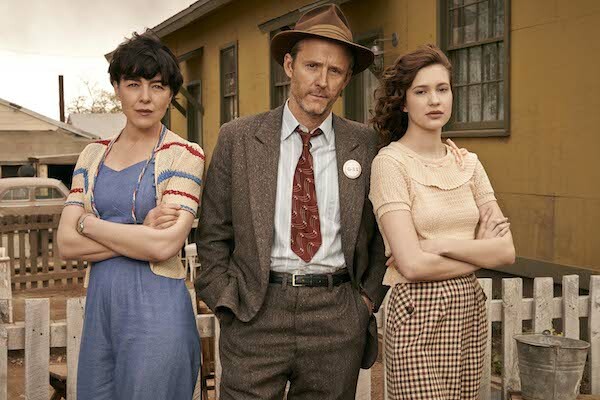 Pictured above from left to right are Olivia Williams as Liza Winter, John Benjamin Hickey as Frank Winter and Alexia Fast as Callie Winter. 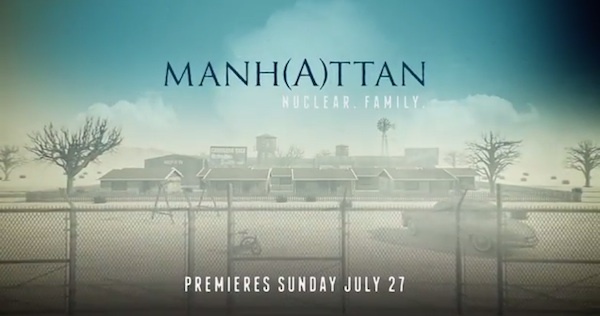 Manhattan premieres Sunday, July 27 at 9:00 p.m. ET on WGN America.